Kati Meyer-Brühl has already received many prizes for her lively and diverse designs. She has now broken a record. In May, the designer received 11 renowned awards all at once! The Design Council nominated the avec plaisir range, the bench belami, the sofa bridge, the sofas and chairs from the chess and JO ranges as well as the sofa morning dew for the German Design Award 2014. The award is considered one of the country’s most prestigious. 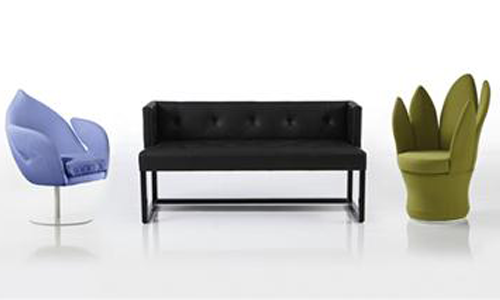 The avec plaisir and belami ranges, as well as armchair dive, chair edouard and armchair and stool lemon, have all been awarded the Green GOOD DESIGN Award by the Chicago Athenaeum Museum of Architecture and Design. The award was instituted five years ago as a spin-off of the Good Design Award, the most important international design award.